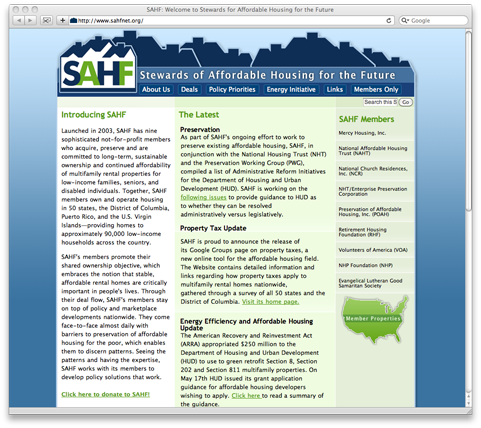 Stewards of Affordable Housing for the Future (SAHF) came to me in need of a new website. So this was the design I came up with based on their requirements. There are 5 main sections plus an additional ‘Members Only’ section that requires a login. 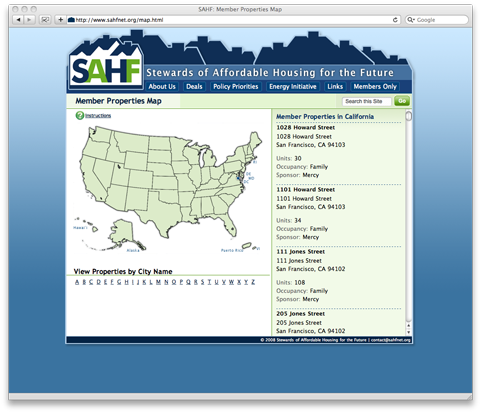 The home page showcases new announcements, their member organizations and provides a link to an interactive map of member properties. 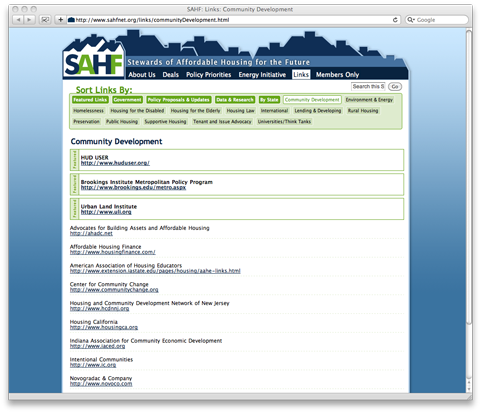 The links section allows a visitor to sift through hundreds of related sites by topic/subject or by the state it’s affiliated with. The properties map page allows a user to click on any state and see the associated properties or to see properties listed alphabetically by city. A combination of jquery and an image maps was used for the interactivity.